food. If done right, the meat is tender, juicy, sweet and salty with crunchy green onions. When Yakitori is eaten with rice and cucumber salad on side, it turns the street food into good dining. Since I was at Poultry Specialties two days ago I picked up some chicken thighs, besides couple of bags of chicken feet for my Ultimate Stock that I have posted earlier. Unfortunately, when I have decided to finally make it, the BBQ was out of question because of 40km/hour wind and I didn’t want to use broiler for 6 short skewers. Then it hit me: I’ll do it just like duck breast in cold skillet. If it works for duck with skin then why not for chicken thighs? The meat was already cut into strips and lightly marinated (just a 1 Tbs. of Yakitori sauce for 4 thighs). I coated bottom of a skillet with 1/2 tsp. 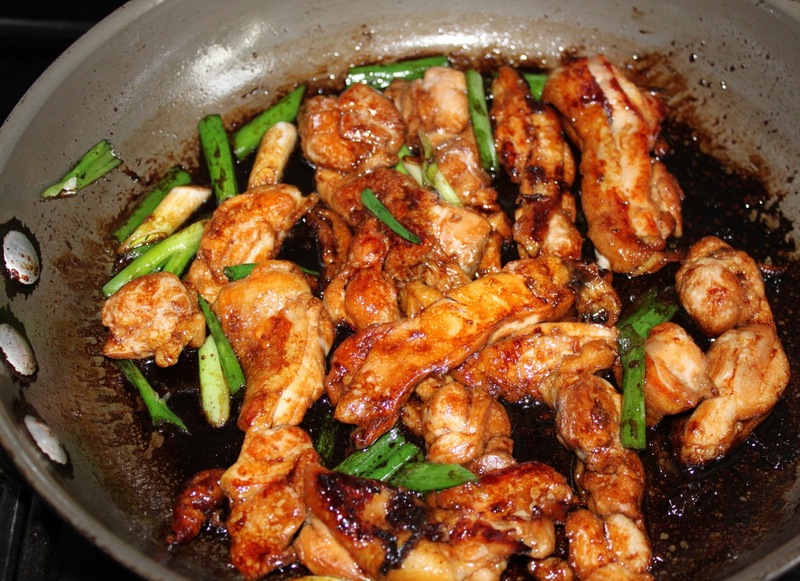 of peanut oil with few drops of sesame oil, put the thigh strips skin side down in a skillet, placed the pan on my large gas burner and turned the heat on medium high. I shook the pan almost continuously to make sure that the skin doesn’t stick to bottom. If it does, just move it with spatula. When the skin got nice color, turn over and cook for another 4 – 5 minutes. 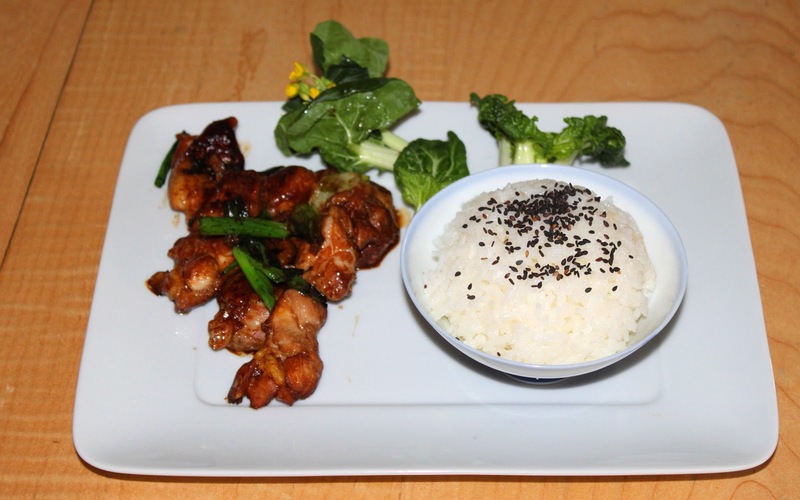 Pour in 1/2 cup of Yakitori sauce, move the meat around and reduce the sauce until it is thick. Never raise the heat above medium hot. Remove to serving plate and enjoy.